The regular practice of SIT™ with some or all of the thirteen Primordial Geometric Patterns will totally transform the brain (using all thirteen is much more effective). Anyone can become a genius by turning on the whole brain and at the same time resolve anxiety and depression disorders. ADD, ADHD, Dyslexia and behavioral disorders are all interrelated in terms of a lack of integration and coherence in the brain: the SIT™ Program reverses all these unnecessary neurological deficits quickly and efficiently with regular practice that only involves the simple tracing of each Primordial Geometric Pattern and simultaneously practicing a very specific breathing technique that anyone can learn (child and adult). If you can trace simple geometric figures with the hand and pay attention to your breathing you are capable of learning and practicing SIT™ with complete effectiveness. Even Autism will resolve itself by reorganizing the brain to function in the way it was intended. 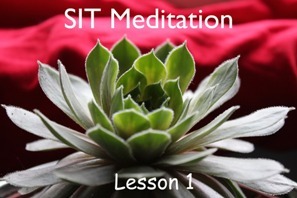 Every brain cell will light up and become connected as a whole brain with regular practice of SIT™. Infomercials are currently dedicated to training programs for adults to heal children of behavioral disorders that interfere with education and family life, but the SIT™ Program is much more effective to help children settle down and learn more easily and get along with other family members. The same applies to adults who find that they are acting out in abusive and aggressive ways that interfere with success and happiness. For those adults and teenagers who are struggling with a wide range of substance and behavioral addictions, SIT™ will quickly resolve the need to experience wellness as a brain based feeling and instead establish wellness independent of any outside input. Not only will SIT™ resolve some of the most troublesome mental and behavioral disorders that interferes with full participation in daily life, SIT™ will also help a person tap into their inner genius to read faster with greater comprehension, understand mathematics more easily, excel at verbal reasoning so necessary to write and speak effectively and to improve personal relationships with family, friends and business associates. The Super Intelligence Technique� (SIT™) involves a sequence of thirteen Primordial Geometric Patterns that were discovered through research into secret Egyptian texts not normally accessed by anyone, either expert or non expert in the field of Egyptology. In fact, it is our opinion that the elite members of Egyptian society all learned how to use these Primordial Geometric Patterns to turn them into geniuses and the masters of their domain to build the pyramids and many other marvelous feats. A participant uses a visual method combined with a special breathing technique to experience each of the thirteen Primordial Geometric Patterns A participant can use as few or as many of these Primordial Geometric Patterns as they choose. However, the greatest benefit comes from using all thirteen Primordial Geometric Patterns to transform the average brain that for most people involves only 10% of its power. No belief is required to use SIT™, but only regular practice. As with our other meditative programs and technologies, the best results come from taking both M-Water� and Core Water� or H2ORMUS� along with the daily practice of SIT™. All it takes is a few minutes a day to practice SIT™. First take a small drink of Core Water� or H2ORMUS� and after doing so take out the SIT™ manual and look at each Primordial Geometric Pattern. While doing so trace each Primordial Geometric Pattern with the hand and use the associated breathing technique at the same time. A person can choose to use only the first Primordial Geometric Pattern and gain tremendous benefit, but learning all thirteen Primordial Geometric Patterns and using them sequentially is much more effective in terms of all the health and healing benefits available based on creating 100% whole brain function with the most powerful mental and physical development program in the world. After completing the tracing, viewing and breathing steps of SIT™ the participant should close the eyes and simply observe what goes on mentally and physically based on the principles set forth in the Awareness Integration Method� Program for five to ten minutes (the AIM� Program is provided free with any order of M-Water� and Health Breakthroughs other water products). The total practice of SIT™ can take from ten to twenty minutes once or twice a day, with the results more than anyone could possibly imagine and change life for the better and to heal those psycho-physical conditions that plague so many children and adults.